Will there be a Theranos of the stem cell field? 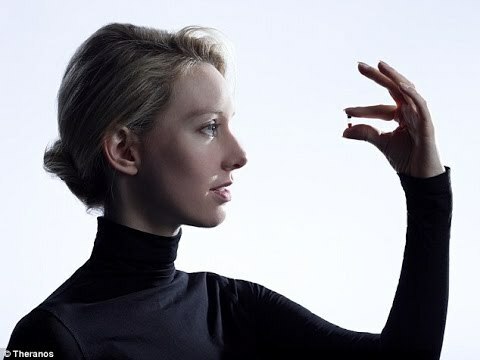 Theranos image labeled for reuse on the web. Blood testing biotech Theranos finds itself in a hole that seemingly just keeps getting deeper with the report today that the company is under criminal investigation. Can it bounce back? Some people are really upset with Theranos for allegedly making misleading statements including both to investors and the government about its technologies. It’s no exaggeration to call this an uproar. However, if you think about it, what Theranos is alleged to have done is not so unusual. If one looks at medical testing and drug development companies, how many have a perfect track record of accurate statements and transparency? None? In the stem cell field alone we have a wide range of stem cell businesses, some private and other publicly traded, including some that have not exactly always been good citizens over the years to put it mildly. Misleading statements to the government, investors, and to patients are not unusual for some businesses such as some of those doing direct to consumer marketing of unproven stem cell treatments. Maybe in part it hasn’t arrived yet because billions of dollars have not rolled into individual businesses in this sector so far, but the way things are growing that could change on both accounts in terms of ballooning investments and growing scrutiny. If the latter is balanced and fair, then the end result overall may be a robust, turbo charged stem cell biotech sector in a few years even if a few players get zapped. I hope there will be no “Theranos of the stem cell world”, but who’s to say at this point. Theranos is weird in that it was founded and led by a college dropout with no real biological, medical, or engineering expertise, who somehow accumulated an incredibly politically powerful board (even for Silicon Valley!) with also extremely limited expertise in those areas for reasons. Their product also produced catastrophically wrong results. Some amount of these unproven stem cell treatments have the potential to negatively impact health of the patients, but most are probably just no biological effect at best. The drug companies’ track record won’t change without a law compelling them to, but I’m hard pressed to think of an example where they came up with a product out of thin air that was sold and didn’t actually exist.